The next NXT: TakeOver special officially has its main event. Bobby Roode will challenge Shinsuke Nakamura for the NXT Championship over Royal Rumble weekend at NXT TakeOver: San Antonio. In a match that aired on Wednesday night's episode of NXT TV, Roode won a fatal four-way against Roderick Strong, Tye Dillinger, and Andrade "Cien" Almas to earn the title shot. Roode last eliminated Dillinger to win the match. That four-way was taped on November 30th, which was before Nakamura reclaimed the NXT title in his home country of Japan by defeating Samoa Joe at a live event in Osaka. Nakamura then retained his title against Joe in a cage match in Melbourne, Australia. Both of those matches later aired on TV. 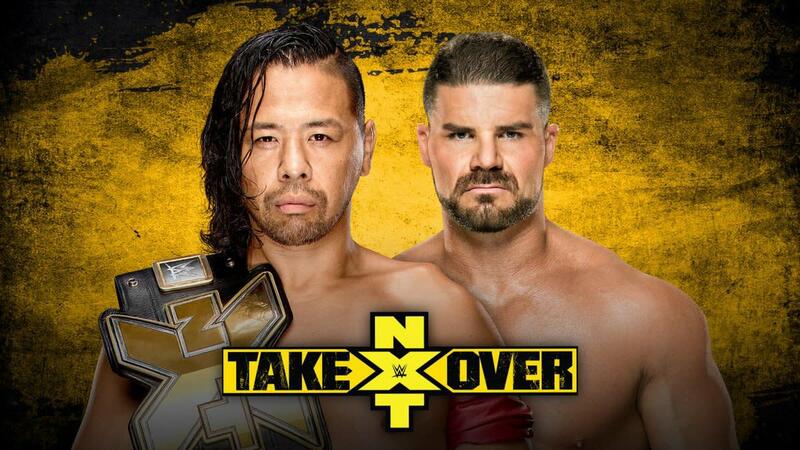 Nakamura vs. Roode is the second match announced for TakeOver: San Antonio, with the Authors of Pain also scheduled to challenge for the tag titles. The show will take place on Saturday, January 28th at the Freeman Coliseum prior to the Royal Rumble being held at the Alamodome the next night.